Connect two AC adapters to one outlet with the basic "Y" Travel Liberator. Connect two AC adapters to one multi outlet extension cord with the Y-Splitter Liberator. 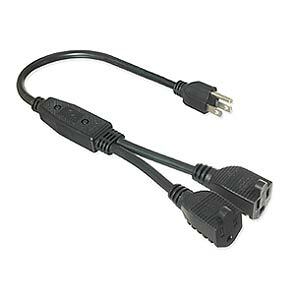 Double the outlets provided by a power strip by using multiple Y-Splitter Liberator cords. Heavy-duty molded ends are designed for years of use.